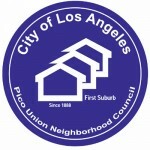 PUNC is an advisory Board to the City of Los Angeles City Council. We were certified by the City of Los Angeles on June 3 2003 to represent the community in City matters and work to improve the community. The 15 board members are officially elected representatives in the City of Los Angeles and volunteers. As such, our role is to help you make a difference in the community. We also interact with our stakeholders and take your concerns and needs back to the City Council member or City departments. Stakeholders are defined as people to live, work or own property in the PUNC Boundaries.